3 weeks until Christmas! That's a little scary! I know! It snuck up fast because Thanksgiving was so late. 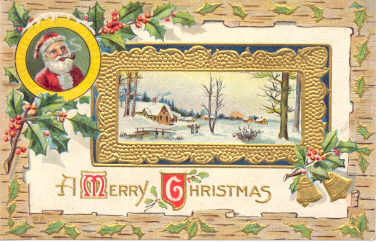 I have been loving the daily vintage Christmas pictures - the advent calendar for grown-ups. We have a kiddo version at our house that is fun, too, but I have enjoyed seeing yours every day. I do subscribe to your blog even though I doubt I will ever even read 1% of the books you review - you're crazy. :) But it's great. Hi Jen! Thanks for visiting! And how exciting that you subscribe! I didn't know anyone did that. I don't really know what it means. Althought I guess I could subscribe to myself and see what happens.